b) Using a 356 as a daily driver wasn’t really terribly practical. The 356 engined 912 became toy next Porsche target and I looked at a few cars until Porsche expert Andy Prill pointed out that the cost of fully restoring a 912 are pretty well the same as for a 911 but with two cylinders less than a 911 the resulting value of the car would be significantly lower and thereby represent a less compelling long-term investment. Smashing my shoulder in a road accident whilst commuting to work on my bicycle prevented me from driving for a couple of years but an operation and some personal injury insurance eventually gave me the will & wherewithall to buy my 911 – a “part restored” dismantled RHD 2.2 911E basket case. The logic behind the purchase was to have some enticement to get myself fit enough to drive again. I even managed to persuade the Mrs that it was a practical daily driver with it’s small rear seats more than capable of housing our toddler daughter. The latter argument was rather shot down in flames several years later when my daughter overtook my wife in height creating internecine conflict for occupation of the front passenger seat! Shortly after buying the car in June 1997 – a restorer was recommended and work commenced. 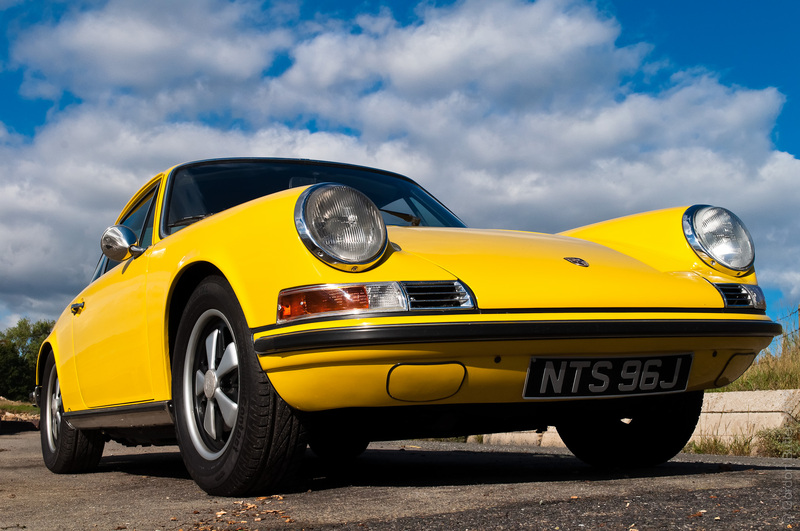 Typical 911 New wings provided with the car were augmented by a massive list of other new and 2nd hand parts. The newly painted bodyshell looked good but things started to go wrong as the re-assembly slowly progressed. Parts I knew were originally with the car or I’d bought subsequently re-appeared on the “Required Parts List” and I eventually realised they were being used by the restorer to fit onto his other projects. The car was meant to be returned to me fully restored, running and MOT’d but when fired up – the supposedly fully rebuilt but wrong 2.2 T engine that came with the car when purchased was belching flames as a result of pulled head studs. 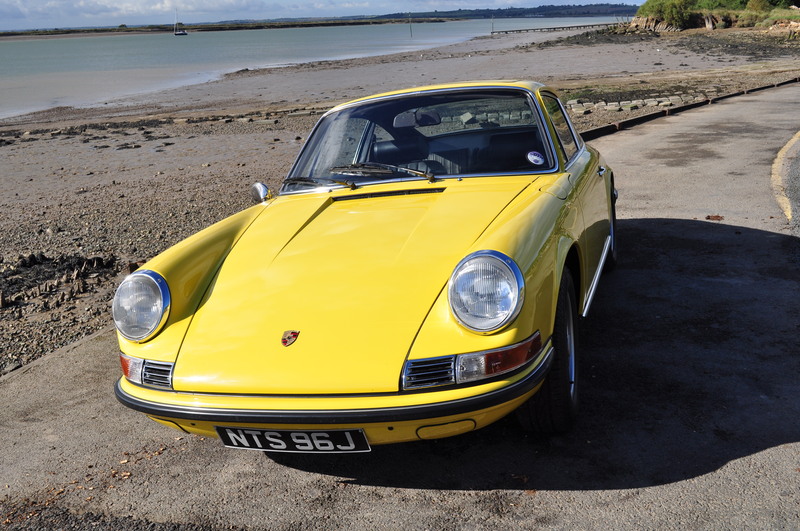 To cut a long and very messy story short I had to prise the supposedly finished car away from the restorer before he went bust or was prosecuted and I was lucky to move it to the care of Jaz Porsche in Wembley. From the outset – Steve Winter set out to sort out the previous restorer’s mistakes and he’s looked after the car mechanically ever since. First priority was to replace the supposedly rebuilt engine that came with the car. It was the wrong engine anyway – a 2.2 911T engine running on Zenith carbs but flames belching from the cylinders on start-up indicated pulled head studs. A 2nd hand period correct 2.2 S engine complete with mechanical Bosch fuel injection was purchased and fitted. The old engine was returned to the engine builder to sort out the pulled head studs and it was eventually sold. Other improvements to the car included S alloy front brake calipers and 2nd hand Bilstein suspension from one of Steve’s race cars. With the car eventually running and being used – all sorts of other teething problems were sorted and over the years it’s steadily been improved with a rebuilt gearbox, bored-out and refurbished throttle bodies and various other repairs & upgrades. 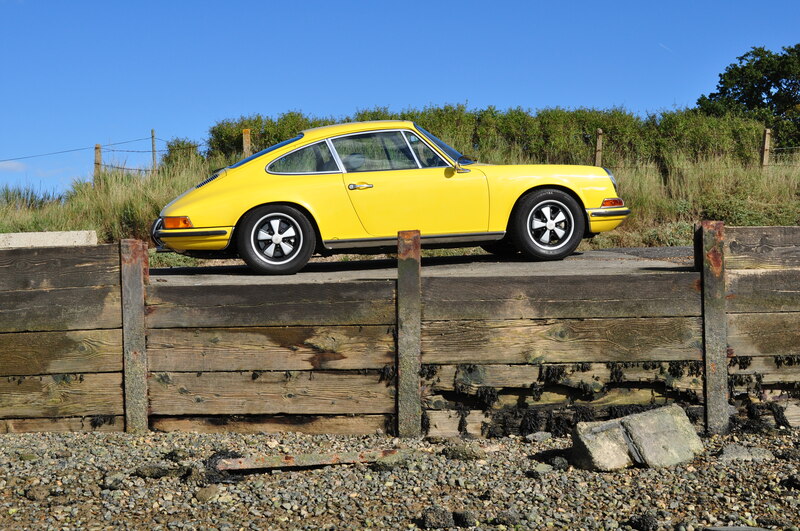 As our only car – the 911 was used for shopping trips, daughter’s taxi to schoolfriends parties, long drives up North to visit family and touring holidays in the UK, Belgium and France. A fateful family trip to stay with my Mother one Christmas introduced me to another great 911 specialist when the rear torsion tube split after hitting a lump of concrete in the road in Sheffield. A call to Steve at Jaz the day before Christmas Eve to describe how the rear suspension was tucked up inside the wheel arches confirmed the damage and he advised me to get the car transported to Sportwagen in Southend. 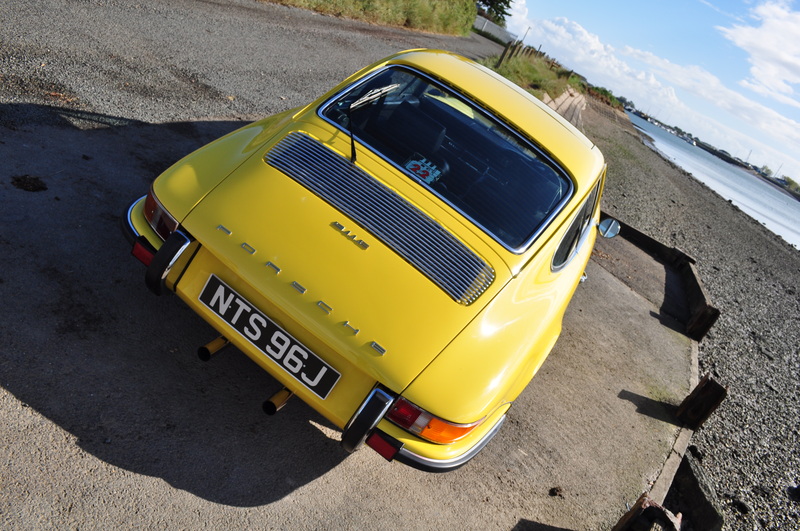 After the Christmas break – Bruce Cooper took delivery of the car and he did a great job in finding and fitting a replacement torsion tube and sorting out some other underside rust repairs whilst he was at it but this marked the end of the 911 being the only car. Eventually house renovation took priority and I was forced to lay-up the 911 for a couple of years. Use of the car in all sorts of weather prior to this meant that it was looking a bit ragged round the edges when it came out of storage. A check-over by Steve at Jaz confirmed that something needed to be done to prevent it crumbling away. Bruce and his guys at Sportwagen were on hand to take up the challenge of stripping, repairing and rust-proofing the underside of the body, adjusting badly fitted body panels and carrying out other repairs as required before giving the car a great respray. As you’ll see from the photos at the top – the car came out of Sportwagen looking absolutely fantastic. Since then – the engine has been fully rebuilt by Steve at Jaz (see other posts covering the engine rebuild) and the suspension has also benefitted from a complete rebuild. The car recently returned to Sportwagen for some bodywork repairs after someone whacked into the back of the car!